Purchase a Pink Bow and support Komen Charlotte! 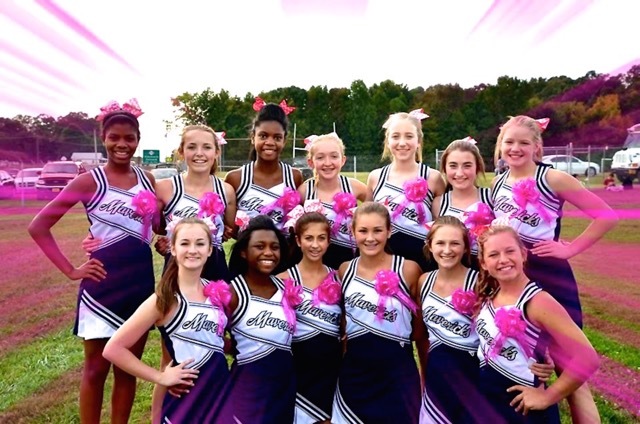 The Pink Bow campaign was started by BCC Rally in 2007 as a way to spread breast cancer awareness and raise funds in support of Komen Charlotte’s mission. Since inception, the campaign has raised over $650,000 and reached thousands with a vibrant message of hope! Now a Komen Charlotte campaign, you can purchase your bows via our online store or in office. Five inch pull string bow. Seven inch pull string bow. Ten inch pull string bow. Thinking of getting a group involved in the Pink Bow Campaign? Here are a few ideas! Request HOA approval if required. Spread the word- email your neighbors, distribute flyers, go door to door, or create a community event. Tie bows on mailboxes, trees or lampposts as orders are received, or tie all bows once all orders are received. Leave them up year-round or highlight during the month of October during breast cancer awareness month! This is a great way for your office to engage in a community activity together with minimal effort. This is also a great way for Race for the Cure corporate teams to engage leading up to and after the event. Show your pink pride to all who visit! Spread the word to employees through email, announcements, or word of mouth. 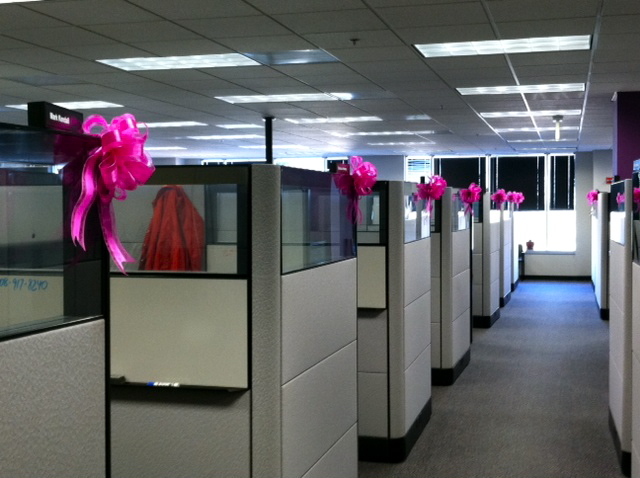 Display bows on doors, cubicles, and even computers. Encourage competition between departments; host a “wear pink to work day” for a $5 donation; ask management to match funds raised by employees. 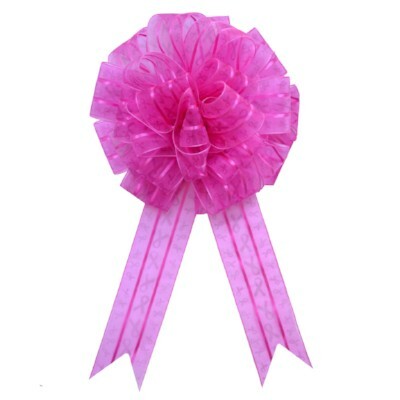 Alternatively, encourage management or department leaders to purchase bows to pink up their offices. This is a great community involvement activity for kids and students of all ages! Obtain permission from principal and enlist the help of a teacher, a club and/or parents. 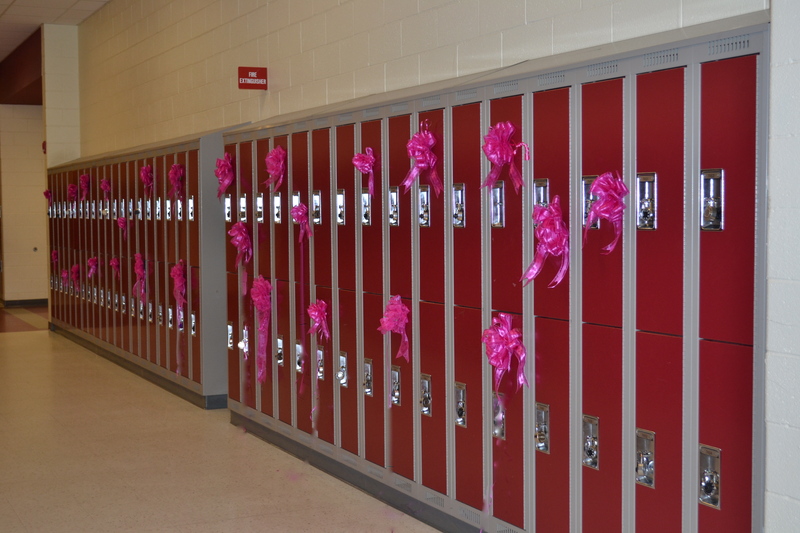 Bows can be sold during lunch, or at specific school events. Sports teams can designate a “Pink Out” game as a great way to involve the entire school community. 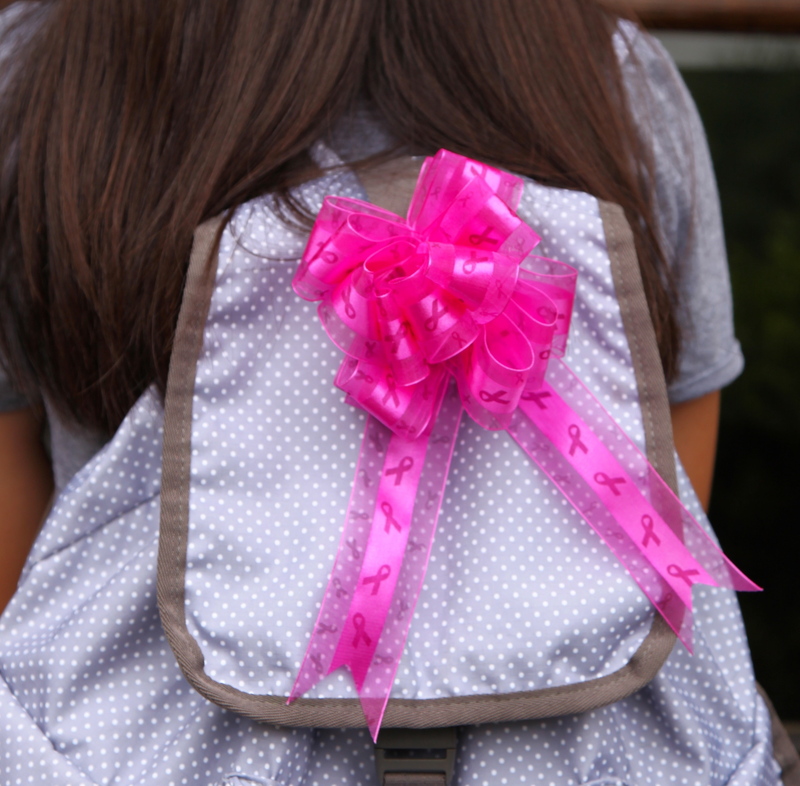 Encourage students and faculty to tie bows on their backpacks, cars, hair, lockers, and classroom doors. 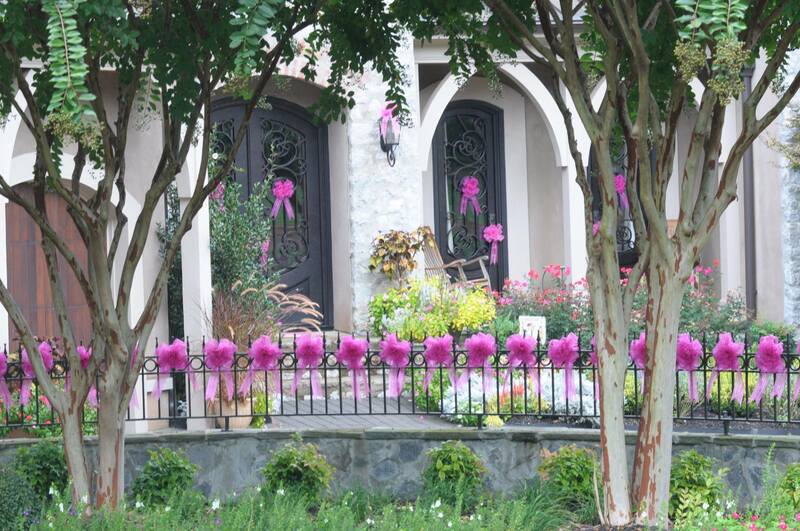 For more information on the Pink Bow Campaign or to get started, contact Robin Saddler at r.saddler@komencharlotte.org.